What’s the Process for Buying a Home? Courtesy of Open Door Real Estate Inc.
Best of Everything! 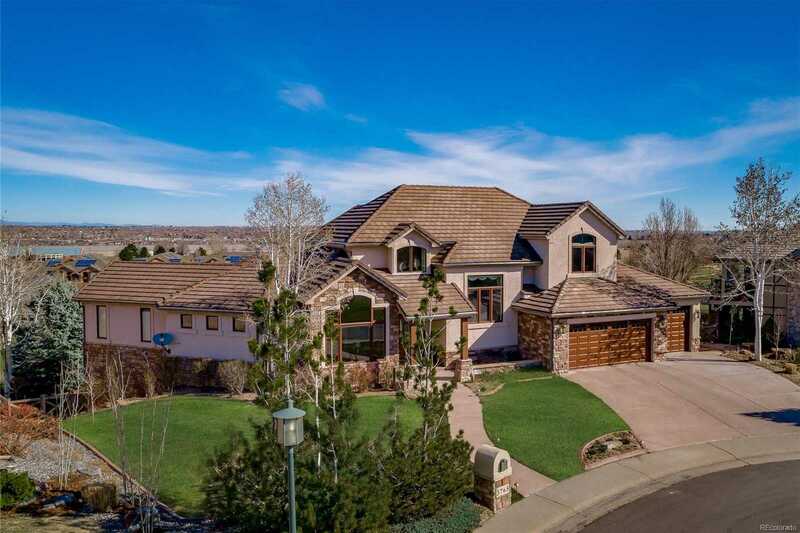 Stunning, custom home with expansive mountain and golf course views located on the 2nd hole of Legacy Ridge Golf Course. Easy commute to Denver, Boulder & DIA. Located on a quiet cul-de-sac, with Main floor master, vaulted ceilings, guest suite, private hot tub, trex deck, house speakers throughout the house and deck, and secluded basketball court. This home is perfect for entertaining with a gourmet kitchen, high-end appliances, built-in outdoor gas fireplace, and a custom-built bar in walk-out basement. This home has been well-maintained with recent updates: tile roof, carpet, wood flooring, master closet system, appliances, gas fireplace, landscape accent, and interior lighting. A view of Long’s Peak is seen from master suite, as well as most rooms of the house and deck. Enjoy neighborhood pool, parks, walking paths, tennis, golf, and nearby shopping and entertainment. Please, send me more information on this property: MLS# 4431342 – $1,620,000 – 3765 West 110th Avenue, Westminster, CO 80031. I would like to schedule a private showing for this property: MLS# 4431342 – $1,620,000 – 3765 West 110th Avenue, Westminster, CO 80031. © 2019 Jim Hendry — Open Door Real Estate, Inc. All Rights Reserved. Real Estate Website Design powered by Home Junction. The content relating to real estate for sale in this Web site comes in part from the Internet Data eXchange ("IDX") program of METROLIST, INC., DBA RECOLORADO® Real estate listings held by brokers other than Open Door Real Estate, Inc. are marked with the IDX Logo. This information is being provided for the consumers\’ personal, non-commercial use and may not be used for any other purpose. All information subject to change and should be independently verified.